The Alaska Legislature's special session on crime and taxes officially ended on Tuesday, with state lawmakers taking no action on a new tax proposed by the governor to help close the state's multibillion-dollar deficit. Lawmakers took up no legislation at their final, formal meeting of the special session, held in Juneau on Tuesday morning. House Speaker Bryce Edgmon, D-Dillingham, gaveled into the floor session at 10 a.m., with three of the chamber's 39 other members in attendance, then gaveled out one minute later. Senate President Pete Kelly, R-Fairbanks, joined only by Juneau Democratic Sen. Dennis Egan, convened his chamber's final meeting Saturday. Tuesday was the 30th day of the special session called by Gov. Bill Walker — which was the constitutional deadline for the session to finish. Lawmakers essentially finished their work November 10 — the 19th day — when the Senate approved legislation rolling back big portions of last year's criminal justice overhaul, Senate Bill 91. The Senate tried to formally adjourn from the special session that day. But the largely-Democratic House majority wouldn't leave. 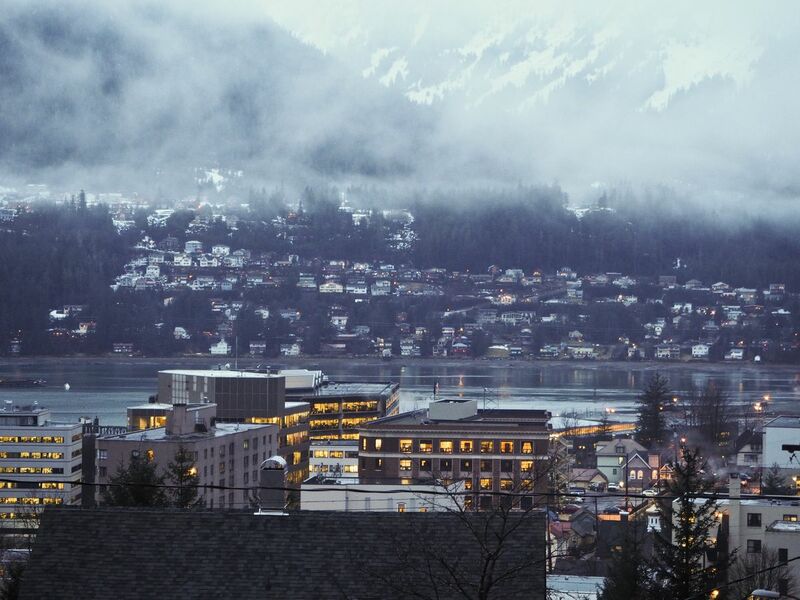 Members said they wanted senators to stay in Juneau to fix a possible constitutional problem with the crime bill and to take up Walker's wage tax proposal, which would have raised some $300 million toward Alaska's $2.7 billion deficit. The Republican-led Senate majority refused, arguing that it can fix the constitutional problem when the regular legislative session convenes in January. Its members also say that the $63 billion Alaska Permanent Fund generates enough cash to balance the state budget, when combined with oil revenue, without turning to taxes. But a few senators still had to be present in Juneau for the past 10 days, since the Alaska Constitution doesn't allow one chamber to end a session for more than three days without the other chamber's approval. Lawmakers held no committee hearings last week — just "technical session," in which they did no formal business. On Tuesday, the joint House-Senate Legislative Council — a bipartisan committee of legislative leaders — held a meeting in Juneau, with topics that include the establishment of a group that will work on the Legislature's sexual harassment policy. But the first three hours were in an "executive session" that was closed to the public. The special session that ended this week was the fourth of the year, and Tuesday was the 211th day that lawmakers have spent in session in 2017. That's two-and-a-half times the 90-day limit that voters placed on the length of the regular legislative session in a 2006 citizens initiative. Walker told the Fairbanks Daily News-Miner last week that he won't be calling a fifth special session before the regular session starts in January. "More time I don't think is the solution," he said. "They've had plenty of time to do what I think is the right thing to do and it has not been done." Asked about the special session's conclusion Tuesday, a spokeswoman for the governor responded with a prepared statement from Walker: "Continued inaction on solving the state's fiscal crisis jeopardizes the health, safety and well-being of all Alaskans and the Alaska economy." She didn't directly respond to a question asking when he plans to sign the crime legislation. The legislation, Senate Bill 54, was still in possession of the state Senate and hadn't yet been sent to Walker's desk as of Tuesday morning, according to the Legislature's bill-tracking system. A spokesman for Kelly, the Senate president, didn't respond to a request for comment Tuesday morning. But by the afternoon, Kelly had sent the bill to Walker for his signature.